Got Caps? 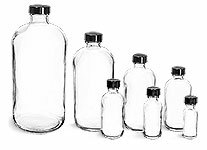 Buy These Bottles for Less. 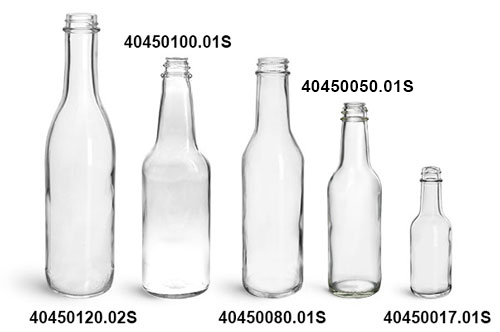 For a lower price, purchase these clear glass bottles without the caps. Need Bulk Caps and Orifice Reducers? These glass woozy bottles come with white metal foil lined caps. 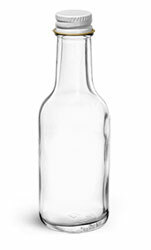 Use these small glass bottles to package sample sized sauce, marinade, liquor and much more! 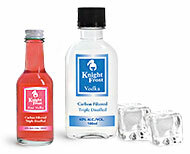 Be sure to test this bottle and cap combination with your product for proper compatibility.